While for working people there is nothing like summer vacation. But for kids it’s the much awaited break from the mundane routine of crazy school morning to a fun and frolic day every morning. No waking up early, no rushing through the daily routine and no early morning of have ur breakfast chick chick. So while kids are in there 7th heaven with all time in hand to play, meet friends & visit places. 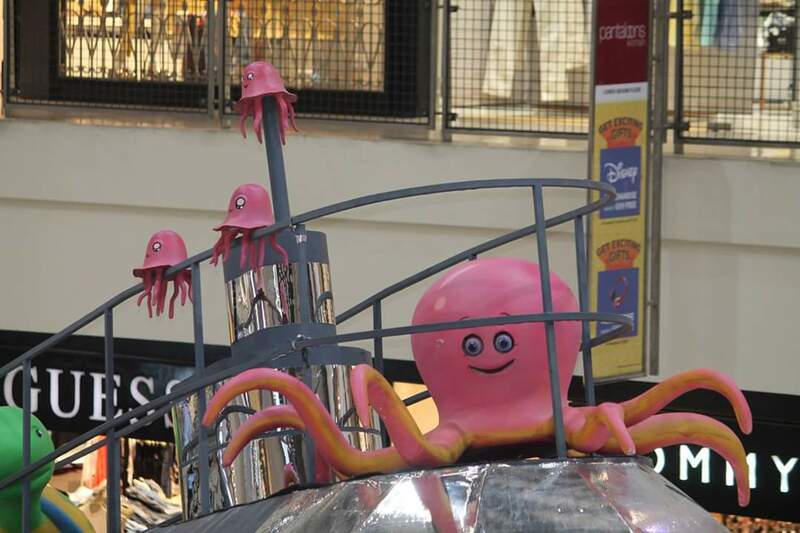 This summer all the Malls in town has conspired to offer an amazing summer time to kids. All you have to do is just spot the mall that has something that your kid literally loves indulging into and head straight to that mall. If you are confused here’s a quick guide to help you decide which one you need to head to. Lots of photo props to engage the little minds before the scuba diving. 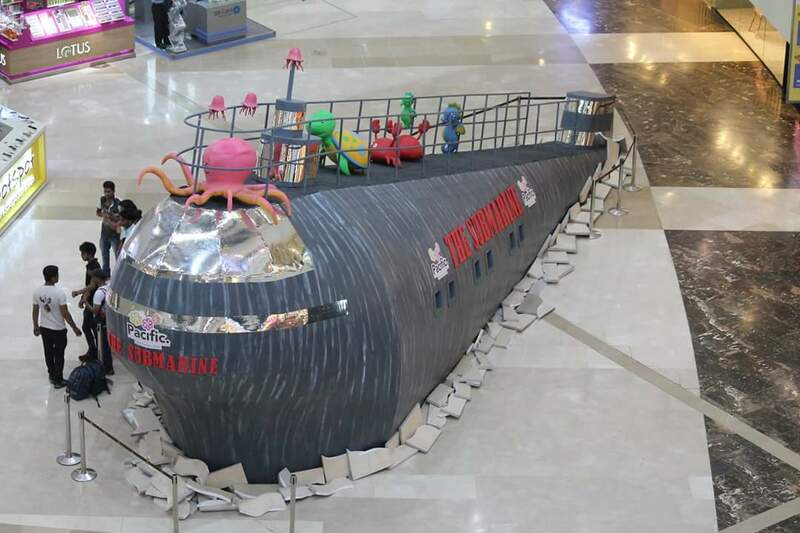 Pacific Mall is specially creating a huge tank for this which will have fishes and corals.Apart from this daily they have workshops such as warli art , Mosaic art, block printing origami art, aero modelling etc for kids so it’s time for kids to brush up they art skills.The fun part is that all these workshops happen inside the submarine, isn’t it Supercool. Kids workshop dates 26th may to 11th june & Scuba diving dates 30th may to 18th june. Yes that’s when the Scuba diving actually starts. 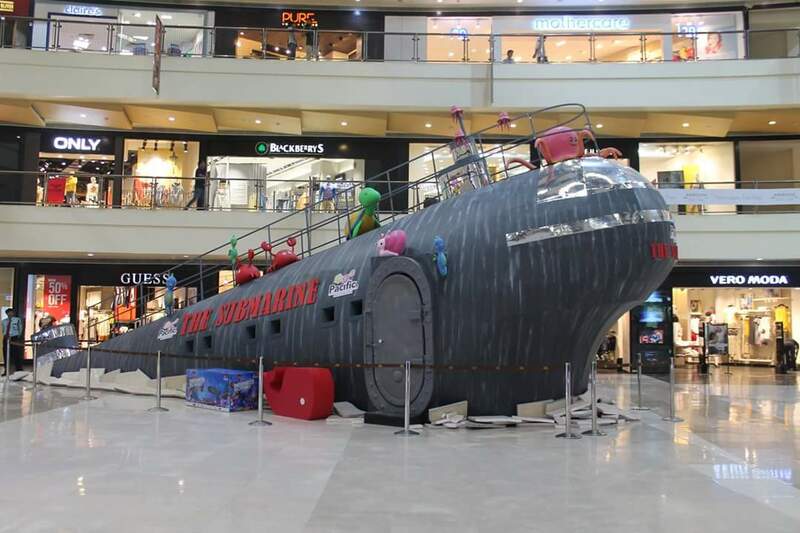 So making it India’s largest scuba diving Mall. Required age for the participation: – 5 years to 12 years. 1.On ground floor at the counter. 3. Inbox us details with Parents name, kids name , mobile no, age, activity date & time for registration. One of the most exciting place to be at, for over a decade in Noida. 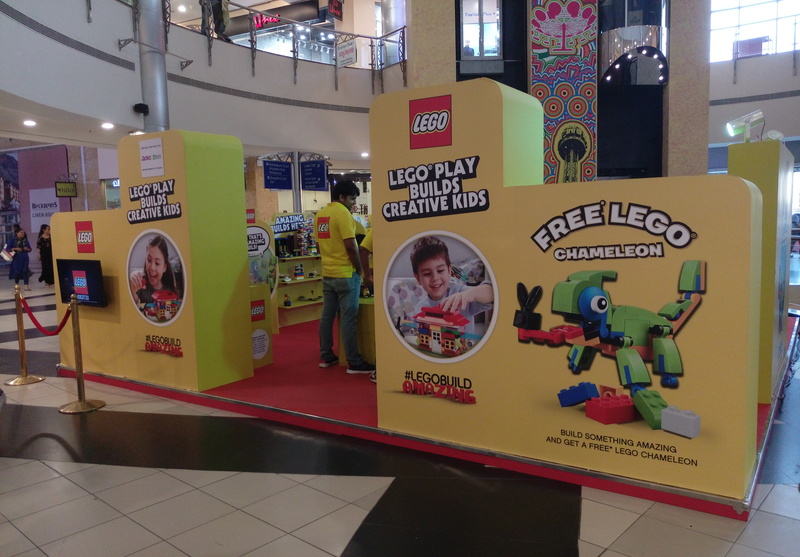 This place is all set to spoil your kid with an ocean of Lego and if your kids loves to create something fun and is a true Lego lover then just take them to this place and every time while they come and create their unique Lego they can also bag a cute chameleon from Lego, check the pic under. 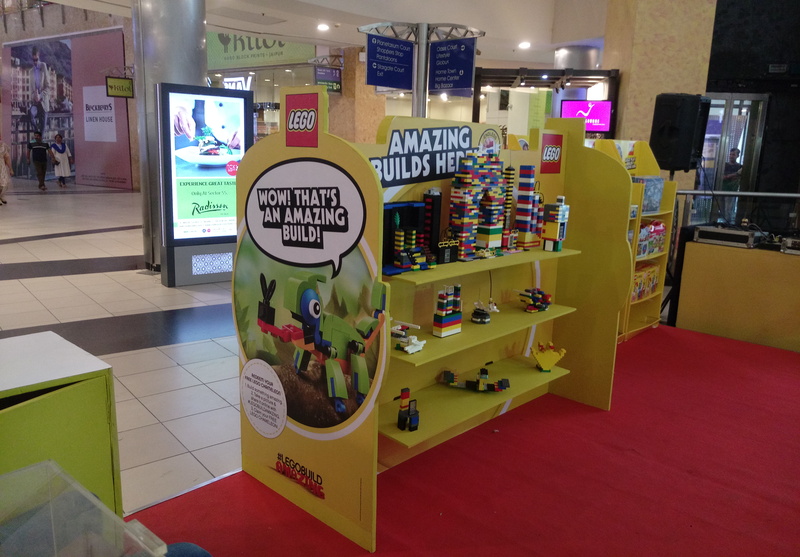 So this is on till 28th of this month so you need to rush to let your kid dig into the Lego fun before its gone. 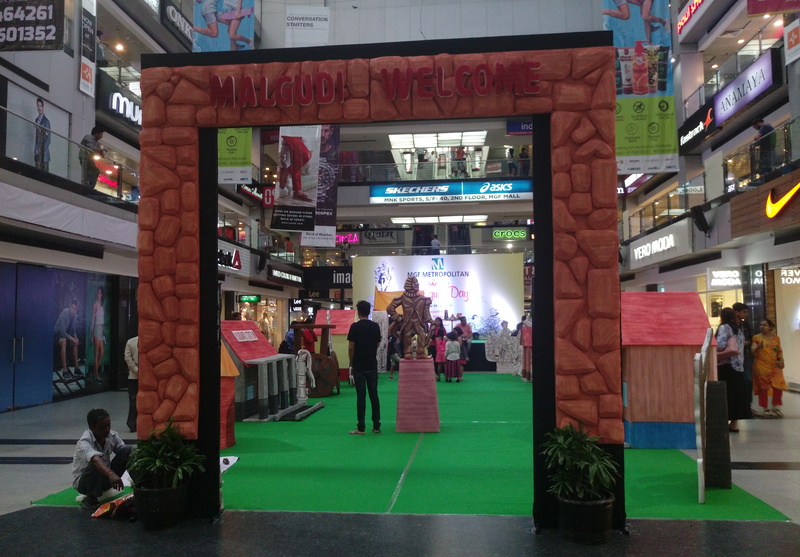 Noida has become the place to go and with DLF mall of india it’s definitely gets better every month. Now this mall is becoming my favorite hangout place with my kids and trust me I just love the way they pamper us. 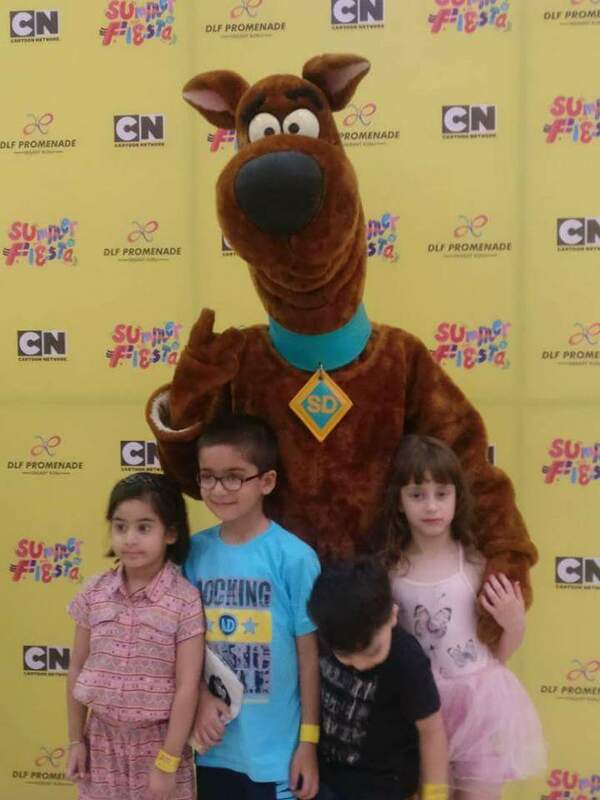 Though all there kids event revolve around a shopping cart but then you don’t mind spending for some good times for your kids right. 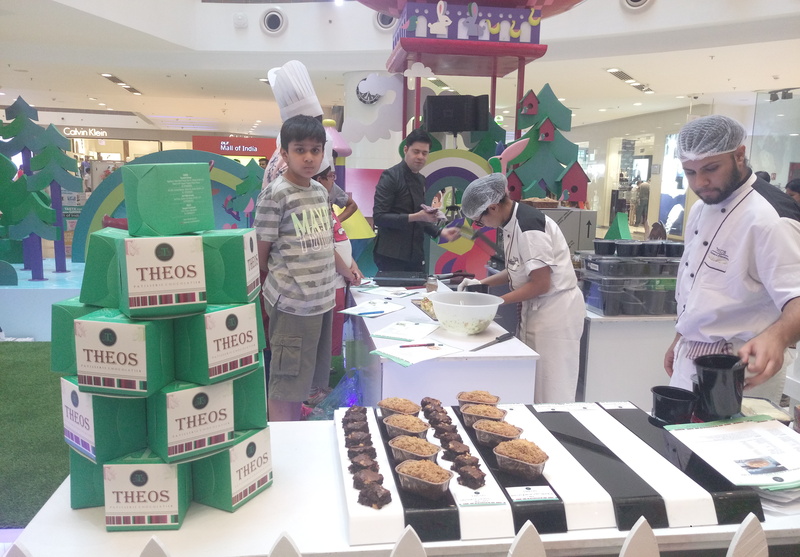 Yes that’s what happened last weekend, a baking workshop by Theos our favorite bakery from noida. If you think that’s all a kid gets to do then check out the meet and greet schedule. Who all are coming? 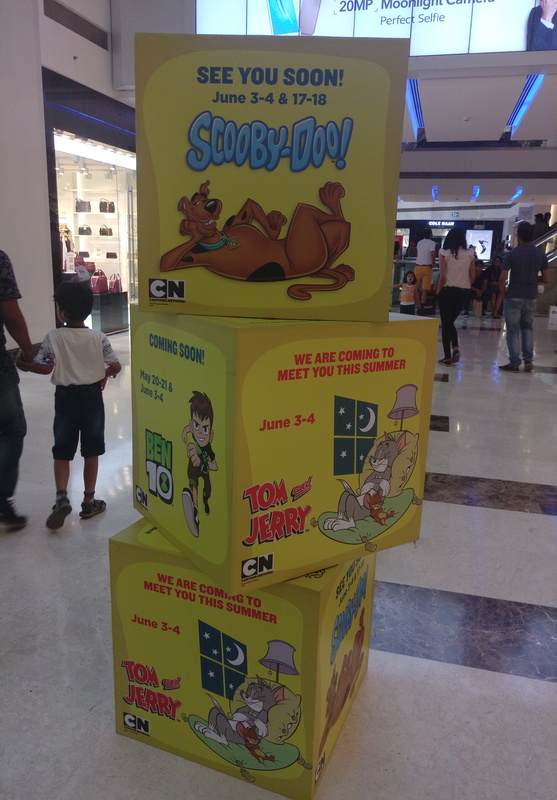 Well almost everyone your kids love – Scooby Doo, Tom & Jerry, Ben10, surely summers can’t get better than this. I just loved the gate. Being accredited as the best mall in the country numerous times , how can we not talk about this while we are talking of Summer Fun at Malls. 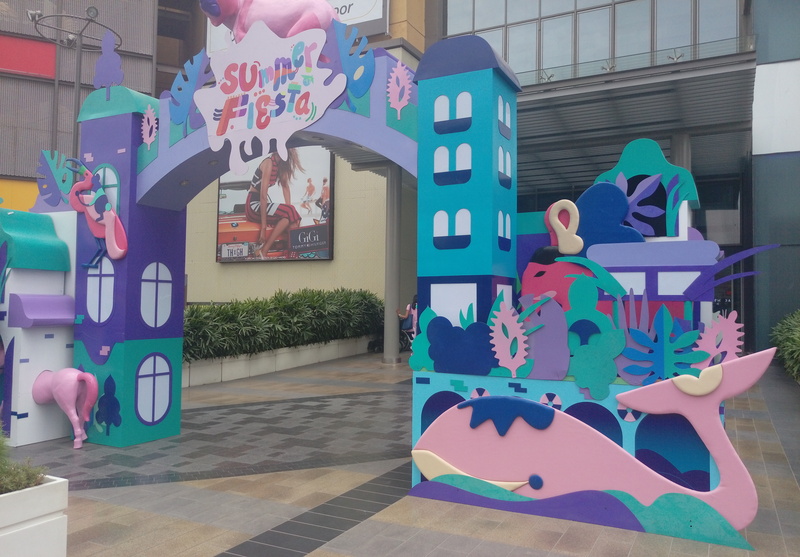 The Select summer carnival is back to show you what they’ve got in store. Here’s a sneak peak into the festivities of the last weekend. 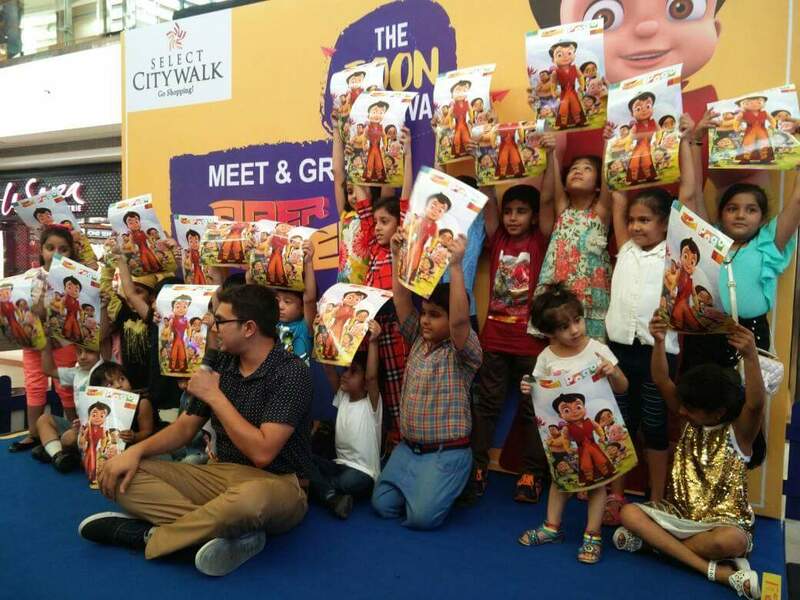 kids had a great time with Super Bheem and all the lovely kids. Stay tuned, there’s a lot more coming. 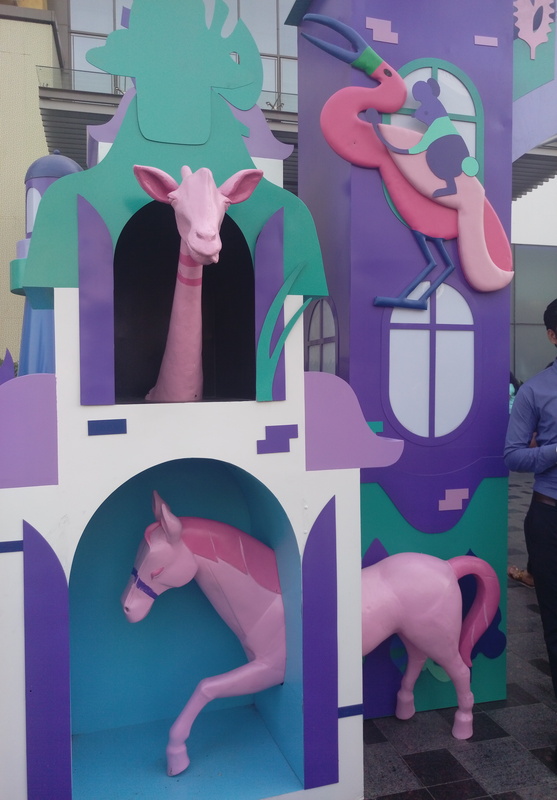 This is yet another property of Dlf that is truly a kids space this summer from amazing hanging out places to creative crafts and kids favorite cartoon making their way to this place with their amazing cartoon parade. 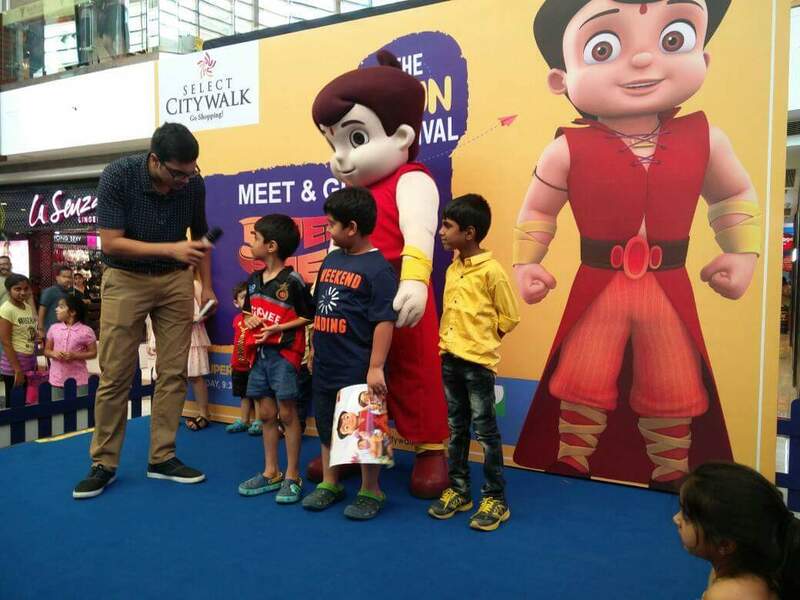 The dream to meet their favourite cartoons is coming true with the city’s biggest summer camp at DLF Promenade. 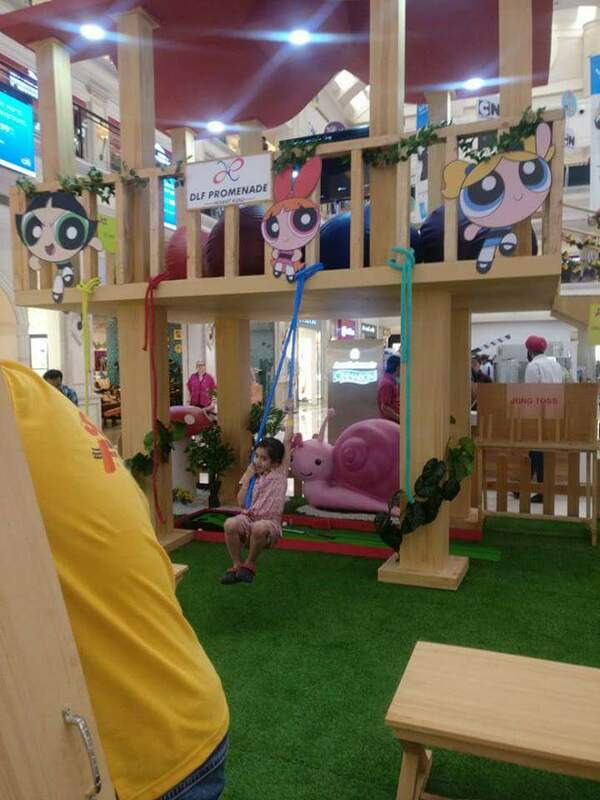 The Cartoon Network Parade is making. Contact at +91 11 46104466 for more details. 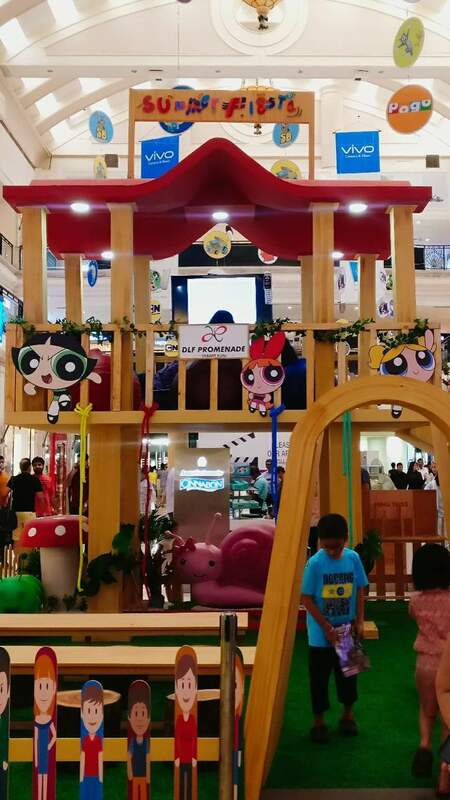 This Summer, let your kids learn, laugh, play & go wild at Ambience mall. 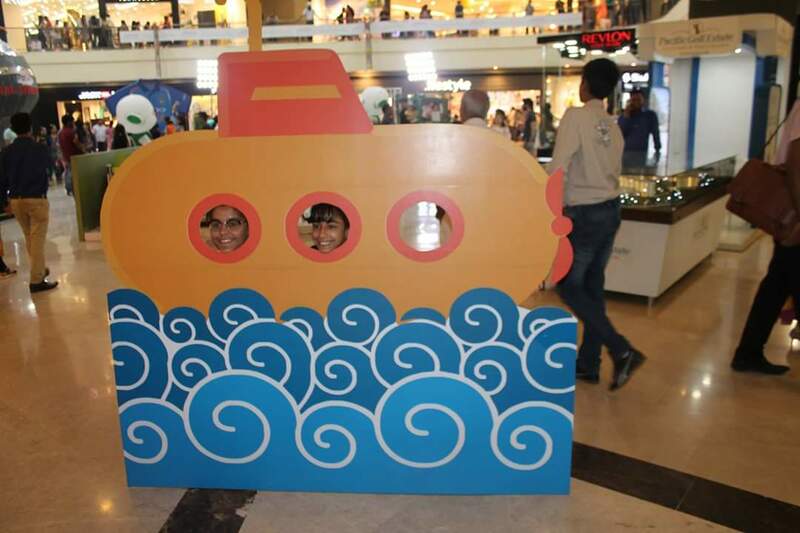 A summer Camp ‘We Love Summer’ is right here at Ambience Mall , so let your kids be part of something exciting & amazing. 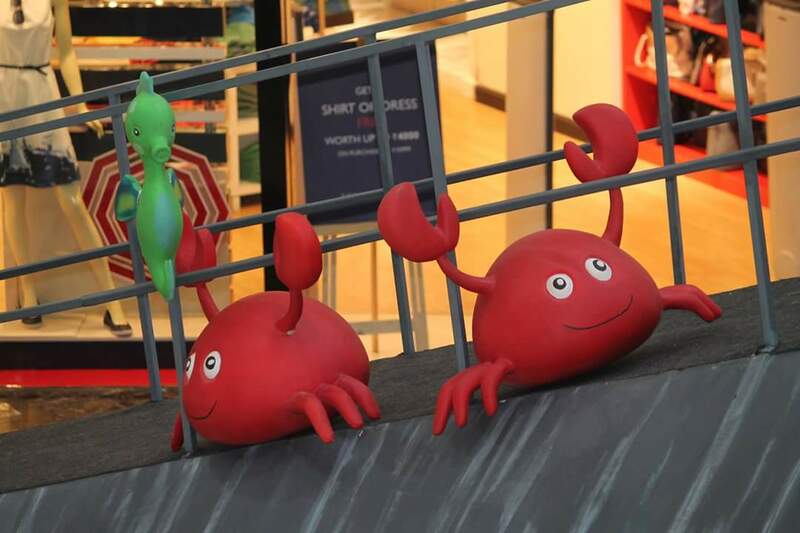 They will meet new friends, make new crafts and experience life in a whole new level! Basketball is a brisk sport that helps curbing the issue of dullness or weight issues in kids. 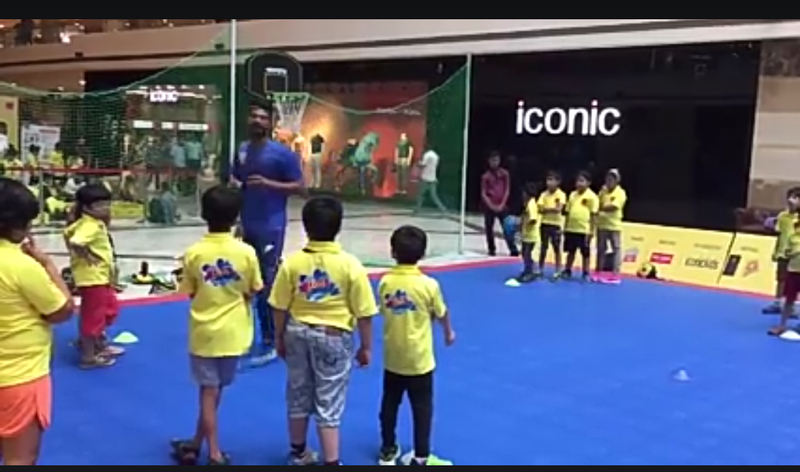 We have brought the team of NBA coach Karan Baweja which makes the kids play and relish the game to their heart’s content. 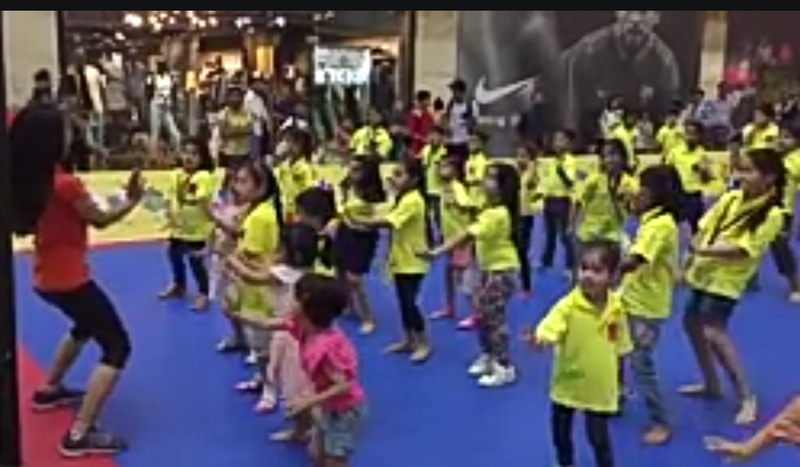 Ambience Mall Summer Camp 2017, everyday is abundant with fun, entertainment & learning. 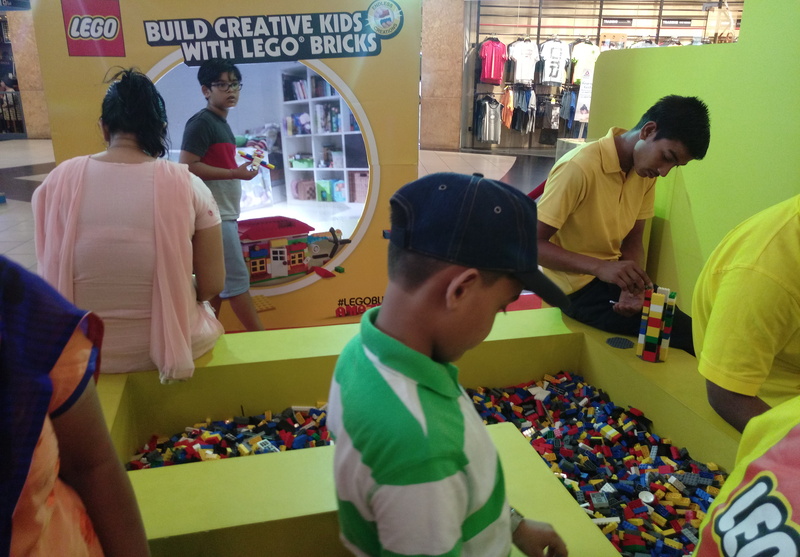 Drop by the mall and watch the kids indulged in more than 17 amazing activities. 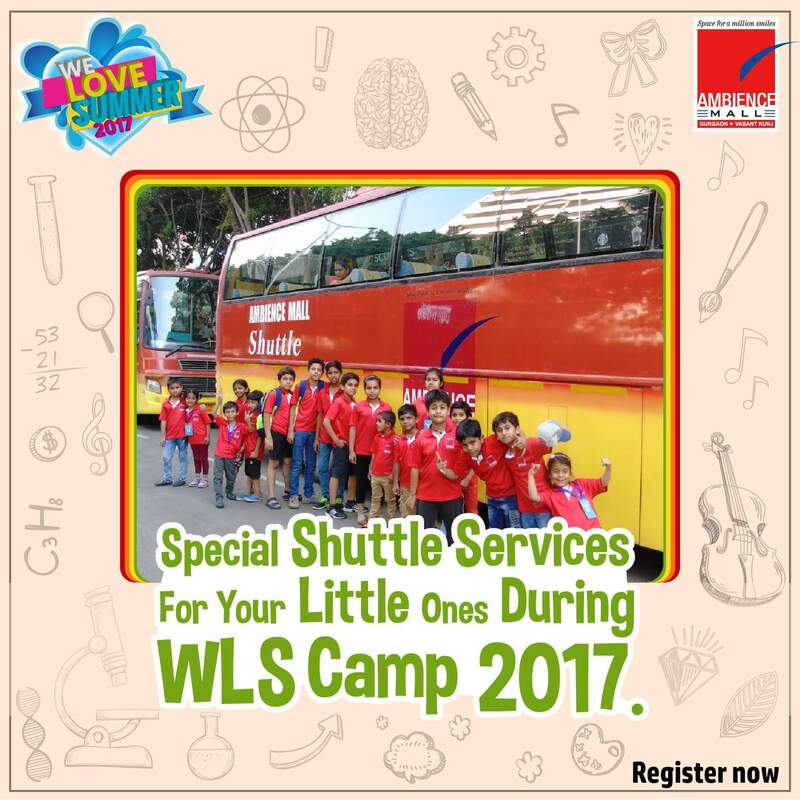 Not just that Transportation is not at all a worry as we are offering your little ones, special pick up and drop shuttle service. The AC shuttle is equipped with cosy seats and has a representative from Ambience Mall to take care of your kids, so you have nothing to worry about. 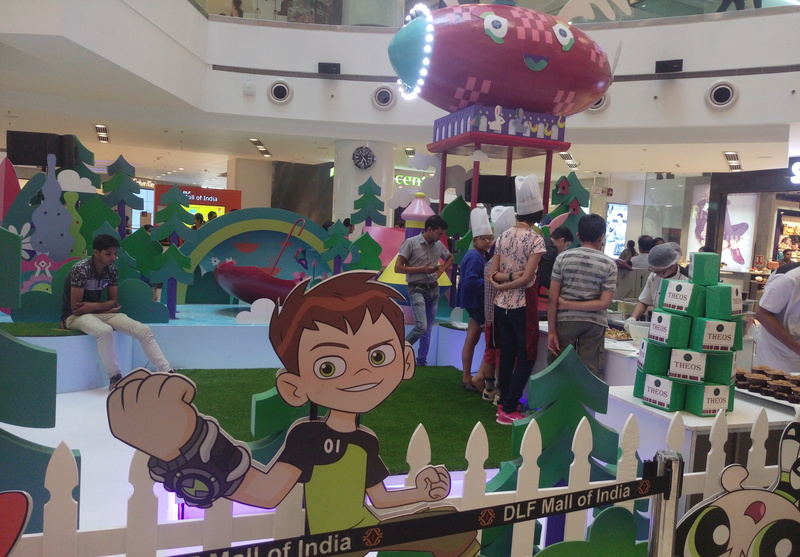 Global Summer Camp is in town at DLF Place Mall this summer from 13th May till 25th June 2017. 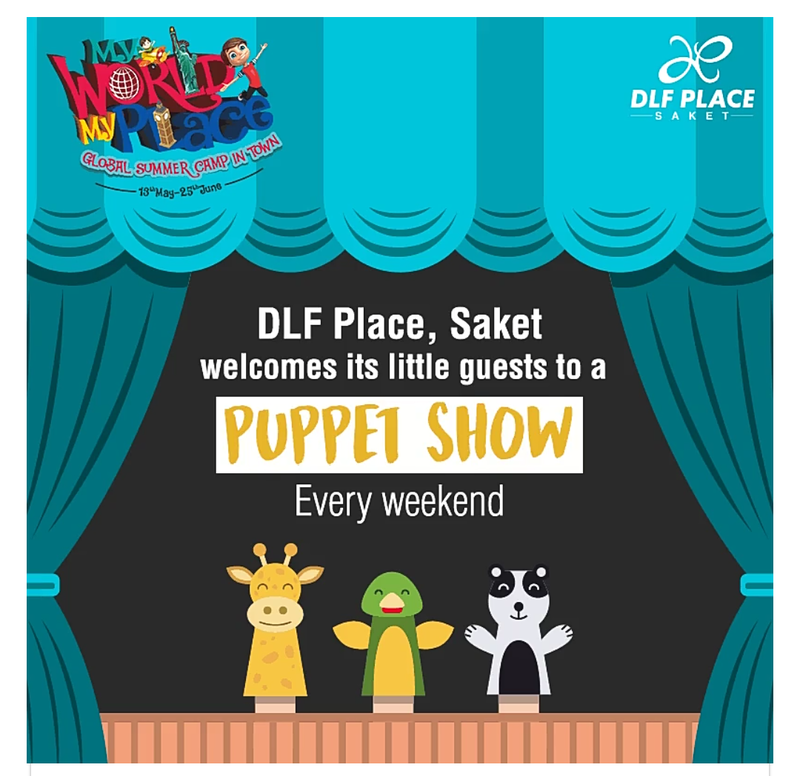 Kids are up for a gala time this weekend with Puppet show, storytelling and many fun activities at the #MyWorldMyPlace summer camp. Many more fun sessions lined up all through summer. 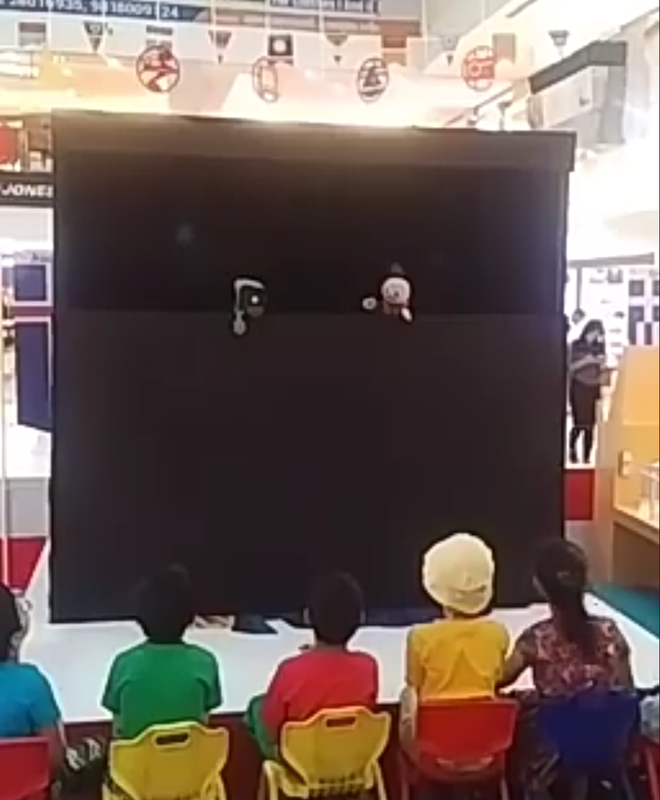 A puppet show happens every week. 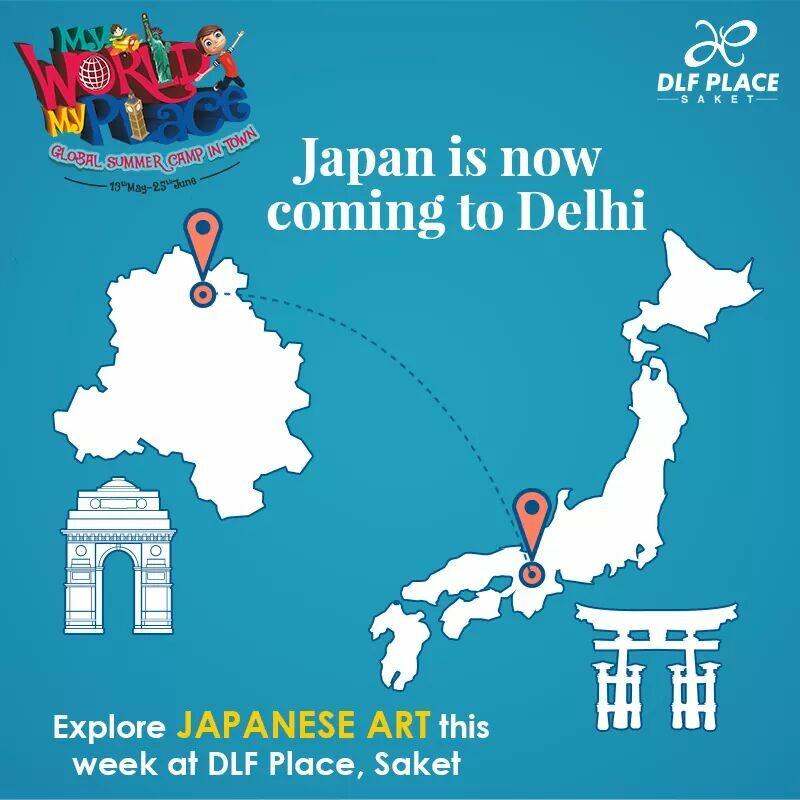 And this entire week they have craft from Japan, so kids can explore Japanese art and craft right in the heart of Delhi. Kids enjoying the Puppet show with story telling. 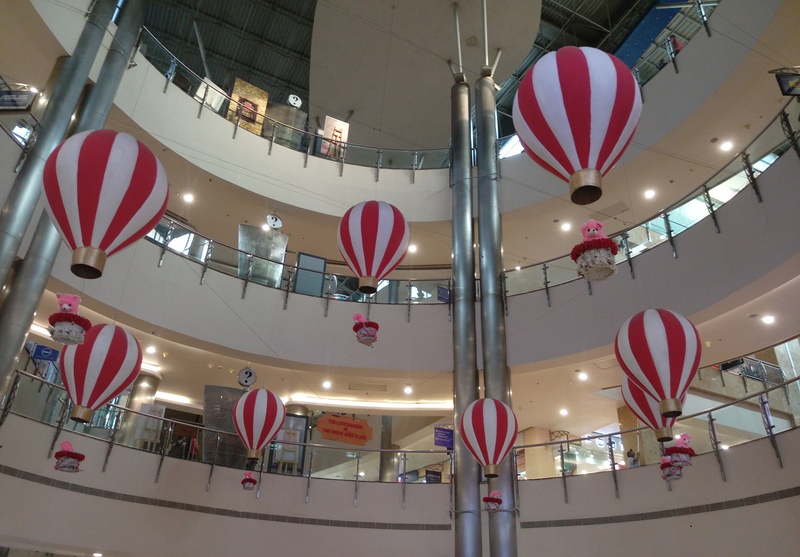 So this mall is back with a trip to childhood memories with the Malgudi days. 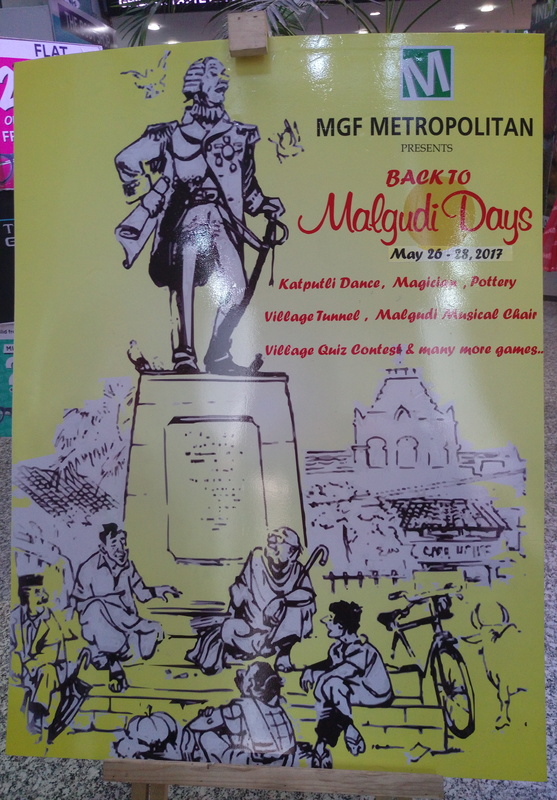 Where they have created smaller structure of Police station, village, Railway Station with lots of fun activities all day long like pottery workshops, magician, musical chair & quiz contest etc etc.